Recently, there’s been a redesign of the iOS version of the Bird Charger app, along with some new features added to it. These updates include a more responsive map, more Bird information and actions available directly on that map, filters to allow you to zero in on the exact Birds you want to search for, and an improved helped database. In this post, we’ll take a closer look at these updates and also show you everything you’ll need to know in order to use the Bird Charger app to find Birds, charge Birds, and get paid. So far, Bird has rolled out its updates to iOS before Android, so there is a bit of an advantage to using an iPhone as a Bird charger. Now, if you are using an Android device, you might not see these updated features in your app just yet. Later in this video, we’ll show you a special tool that’ll allow you to duplicate some of these new features even if you don’t have an iPhone. 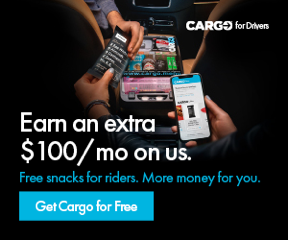 If you don’t already have the Bird app, you can download it from the Google Play Store or the iOS App Store, and make sure you use our link, since you’ll get a free ride as a customer. Chargers use the same app as riders, and once you’re approved as a charger, a new toggle will be available. Tap the menu button, and then toggle into Charger mode. The first thing I’m going to want to do is find some Birds to pick up and charge. You can tap Find Birds to see the map, which shows Birds that are available for chargers to capture. If you used an older version of the app, you might notice the map interface has been updated. It might take a few seconds to load when you first open it or move it to a new area on the map, but it now groups Birds, which allows for a much more responsive and much less cluttered view of Birds in your area. In most cities, many Birds become available to chargers at night after rides have ended for the evening, usually around 9:00 PM, but there are often Birds to be picked up throughout the day as well. Each Bird has a corresponding value that a charger will earn for capturing, charging, and releasing the Bird on time. Red Birds with higher values are generally harder to find, and green Birds should be easier to find, with yellow Birds falling somewhere in the middle. You can tap a Bird’s icon on the map to find out the partial Bird ID, its battery percentage, when it was last ridden and located, and the exact payout you’ll earn for charging the Bird. The new app feature that I think is going to be the most helpful to chargers is the filters. You can now view the exact Birds you want to see on the map and filter by when they were last ridden, last located, the price range, or a combination of any of the three. Whereas the old version of the app sometimes became cluttered with Birds you’d already looked for or had no interest in looking for, the filters now allow you to zero in on the exact Birds you’d like to find. Now let’s go find and capture a Bird. Once you’ve selected a Bird, tap here to bring up your preferred navigation app that will direct you to the Bird’s location. Personally, I like Waze, and both Google Maps and Apple Maps are also integrated so you can choose whichever you prefer. Once I’ve reached the location where the map says the Bird is, it’s time to find it and capture it. I can tap the icon again to bring up a new menu. If you don’t see the Bird where the map indicates, you can try the alarm function, which should activate an alarm on the Bird to help lead you to it. Depending on the Bird, you might have to be within Bluetooth range for the alarm to activate. If you still can’t find the Bird, you can tap Mark Missing to let other chargers know it’s not there. If you believe the Bird is locked away in an inaccessible place where it should not be or that someone is collecting Birds without capturing them, you can report this activity directly to Bird. Since we did some research before heading over and chose a Bird with a recent location ping, hopefully we won’t encounter any of these issues and can find the Bird easily. Once you’ve reached the Bird, you can access the Capture screen by tapping the big Capture button here or tapping a Bird’s icon and then selecting Capture. Just get the QR code in the target on your screen, and you’ll be able to capture the Bird. You can also manually enter the Bird ID if the code isn’t scanning properly. Once I’ve captured the Bird, it’s tied to my charger account and won’t be available to other chargers or riders. It will be removed from the charger map. Now I can bring my Birds home and plug them in to charge. I can tap on My Tasks to view the details of each Bird I’ve captured, including current battery percentage, payout, and when the Bird is due for release. Some Birds may have an unlock feature which allows you to unlock that Bird so you can roll or ride it for a short period of time. If you determine any of the Birds you’ve captured are damaged, you can tap Mark Damaged to let Bird know. The app might also prompt you to update the vehicle’s software. This just takes a minute or two and can be done when it’s convenient for you. Now, once my Birds are fully charged, I can tap Release Birds to drop them off and get paid. Birds should be released in the early mornings, usually between 4:00 and 7:00 AM so that they are available for riders to use throughout the day. This map shows the locations of available nests to release my Birds at. The number on each icon indicates how many Birds can be released there. Tapping a nest icon brings up some options, Let’s check out more details. Here can find the exact nest address and any relevant notes. I can claim a nest to reserve it for up to 30 minutes and then tap Navigate to direct me to the nest. Once I’ve reached the nest and put my Birds in the proper location, all I have to do is tap Release, then scan or enter the Birds’ codes, and take a picture. It’s really important that chargers always take care in placing Birds properly so they’re not blocking pedestrian, wheelchair, or stroller access. Birds should never be parked on the street blocking doors, stairs, ramps, or driveways, and also fire hydrants. It’s also a good idea to refer to your local regulations and Bird policies, as some of the specific electric scooter parking rules may vary from one city to another. Now, once you’ve released your Birds, payment is usually issued the same day, and you can see your daily earnings history by tapping Earnings from the menu. You can view the date and time you released each Bird, its value, battery percentage, and payout to you. For more detailed info on using the older version of the app, which is currently the one available to Android users, please check out our previous app walkthrough which we’ll link below. Once nice update for Android is that you can now view more detailed information about when a Bird was last ridden and located than you could in the previous version. If you’re using Android as of the time of this video and want the ability to filter what you see on the map, there’s a third party app not affiliated with Bird called Scooter Map, which allows you to do just that. Scooter Map’s filters work a little differently than those in the Bird app, but you can still hone in on the exact type of scooters you’d like to find. Just keep in mind that while Scooter Map can help you locate Birds, you’ll still need to use your Bird app to capture, release, and manage your Birds. Now back to the Bird app, let’s check out the new Help section. Here you can find some training materials and videos which I definitely recommend checking out before you go looking for Birds for the first time. You can also find some really specific and helpful solutions to common issues that chargers encounter. There’s a Search function if you’re looking for information on a particular topic. If you can’t find a solution in the Help section and need to contact Support to report an issue, just tap right up here to start a conversation. You can let Support know about the problem you’re having, and be sure to always include as much information as possible, including the Bird ID, location of the Bird and/or nest, and specific issue you need help with. I hope enjoy checking out the new Bird Charger app. If you have any comments or questions, we’d love to hear from you, and you can go ahead and post them down below. We’ll be on the lookout for any app updates, and we’ll see you then with another app walkthrough. Until next time, happy charging.